Poker VIP Program Reviews - Casino Answers! One of the common methods poker rooms have of retaining players and gaining their loyalty is through a stellar VIP program. I’m sure most of you have played at casinos, and gotten free drinks, and maybe even a buffet from a casino’s VIP program. But when gambling online, the VIP programs are even better. Instead of a ticket to the buffet you can get cash, tournament entries, gift certificates, and as these programs expand, maybe even a chance to be on the World Poker Tour or World Series of Poker. 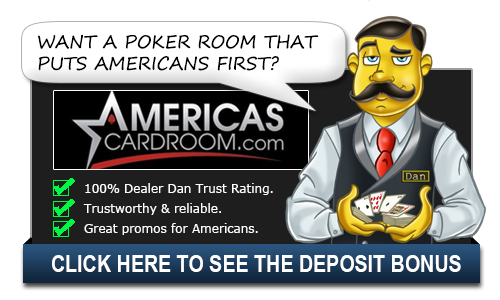 Finding a good VIP program is key when selecting an online poker room and Pokerstars is one of the best. Pokerstars launched its original VIP program in January 2006, and have immediately shown why they are one of the leaders in this industry, with an incredibly thought-out, revolutionary VIP program that treats players with respect, and offers some incredible options. Players at PokerStars become a VIP player at PokerStars not by being a high roller, but simply from playing a single real money poker hand. That’s all it takes to start you off and shows that PokerStars cares for not only their high rollers but their lower stakes players as well. The more you play at PokerStars for real money, the more points you will earn in the PokerStars VIP Club. There are two types of points awarded at PokerStars – VIP Player Points (VPPs) and Frequent Player Points (FPPs). VPPs will determine your VIP level and are reset on January 1st of each year. These are not reedemable points, but simply to determine your VIP level. On the other hand, FPPs are redeemed by enterining tournaments, buying items from the VIP Store or simply exchanging to cash. For each VPP you earn, you will also earn one or more FPPs (depending on your VIP level). Supernova players will earn 3.5 FPPs for every VPP. The Pokerstars VIP Store is a great way to spend your FPPs. You can buy clothing, poker sets, electronics (TVs, iPads, iPods, gaming consoles, cameras, DVD players, etc), DVDs, books, gift certificates and so much more. We could fill an entire article listing all of the great items you can buy at the PokerStars VIP Store. What better reward to give to yourself after playing all of those tables at PokerStars than a brand new 60″ Plasma TV that you can hang up on your wall? Of course, you could also use the FPPs for tournaments, get yourself a PokerStars cash bonus or simply cash them out and spend them as you wish! There is so much more to the PokerStars VIP Club that we unfortunately can’t go into it all here. It is a very well thought out program and in our opinion the best VIP program available online today. You can read all of the details about the PokerStars VIP Club at PokerStars!